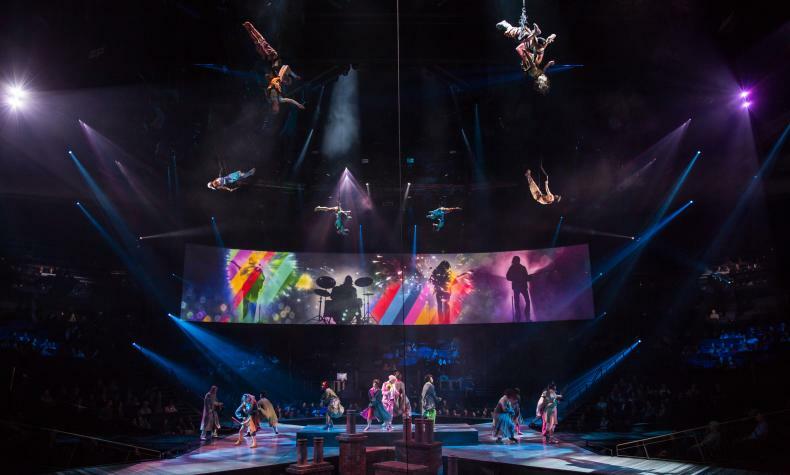 With The Beatles LOVE, Cirque du Soleil celebrates the musical legacy of The Beatles through their timeless, original recordings. Drawn from the poetry of the lyrics, the show explores the content of the songs as interpreted by innovative performances from a cast of 60 international artists. A youthful, raw energy is channeled through aerial performance, extreme sports and urban freestyle dance.